AutoFi, a financial technology company that automates online vehicle sales and financing, will enter Canada in 2018, partnering first with F&I company Tricor Automotive Group, AutoFi said. 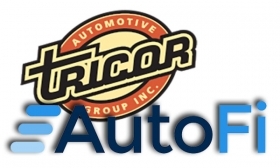 The partnership will give AutoFi access to Tricor's 200 dealership clients representing every major brand. Tricor provides loan and lease services and F&I products. The company is owned by a group of new-vehicle dealerships in Canada that asked Tricor to find a digital solution for financing and F&I product sales. "Tricor was compelling because if you add up all the vehicles they sell, it's 200,000 new and used" a year, said AutoFi CEO Kevin Singerman. "They are a great initial partner to build our beachhead in a new market." AutoFi doesn't plan to stop there, though. "It's our intention to make this available for all dealers in Canada," Singerman said. AutoFi announced a partnership with Ford Motor Credit Co. in January, shortly after the two began a pilot at Ricart Ford in Groveport, Ohio. In January, Ford Credit said the platform would launch at more U.S. Ford and Lincoln dealerships in the near future, without specifying a number or time frame. Beyond partnering with AutoFi for the new platform, Ford Credit made an undisclosed financial investment in the company, Ford Credit said. Customers on dealerships' websites, after selecting a vehicle, can apply for credit, receive a decision, choose financing terms and buy F&I products at dealership prices. Ford Credit and AutoFi also included Kelley Blue Book functionality to assess trade-in value. Customers then review a summary of their purchase and financing terms and schedule a time to take vehicle delivery. AutoFi's network of lenders approves loans online in minutes and allows customers to customize financing terms. AutoFi can also take customers through trade-in valuation, in addition to offering F&I products. 1. A transaction solution for dealerships' websites. 2. Remote sales assisted solutions, such as online offers through a dealership's business development centre via an email or text message. 3. In-store use for customers who have started the AutoFi process but haven't completed it. Customers can pick up in the showroom where they left off online. 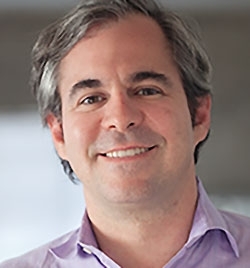 "Dealers can give the customer the same experience online that they would get in-store," Singerman said. "It's turning into an omni channel solution," he said. "It's still all digital, but the entry ports to the product are broadening."